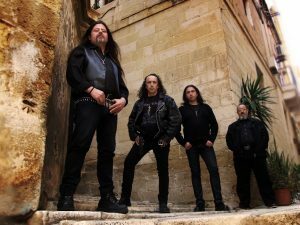 Those more intensely obsessed with the doom metal underground are probably aware of Forsaken’s existence, though the scarcity of their earlier releases means that most headbangers will be unfamiliar with their music to this point. 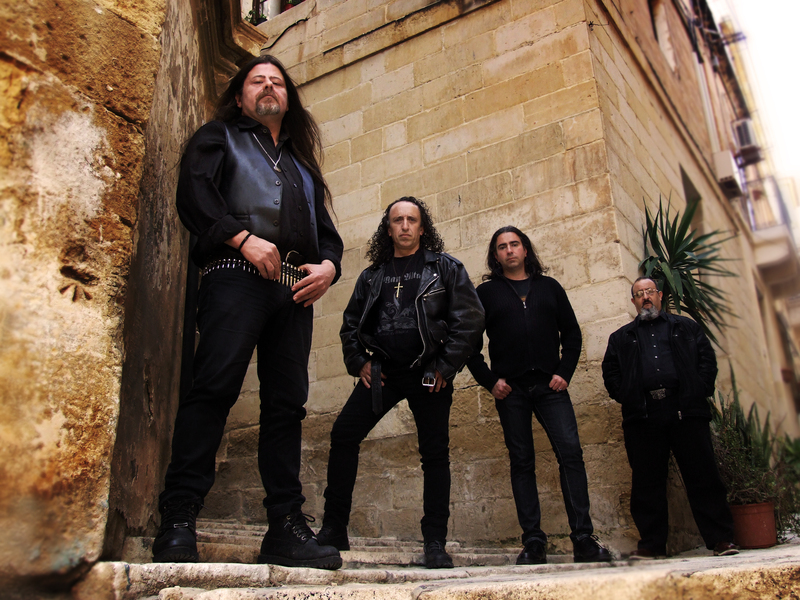 Long hailed as Malta’s response to Candlemass, the four-piece have finally signed the dotted line for Mighty Music, a much more stablished label with good distribution worldwide that is sure to give a boost on the band’s fortunes from now on. And “Pentateuch”, the first official product from such collaboration, have more than enough qualities to put a smile (ok, maybe a discreet grin) on most doomster’s faces. 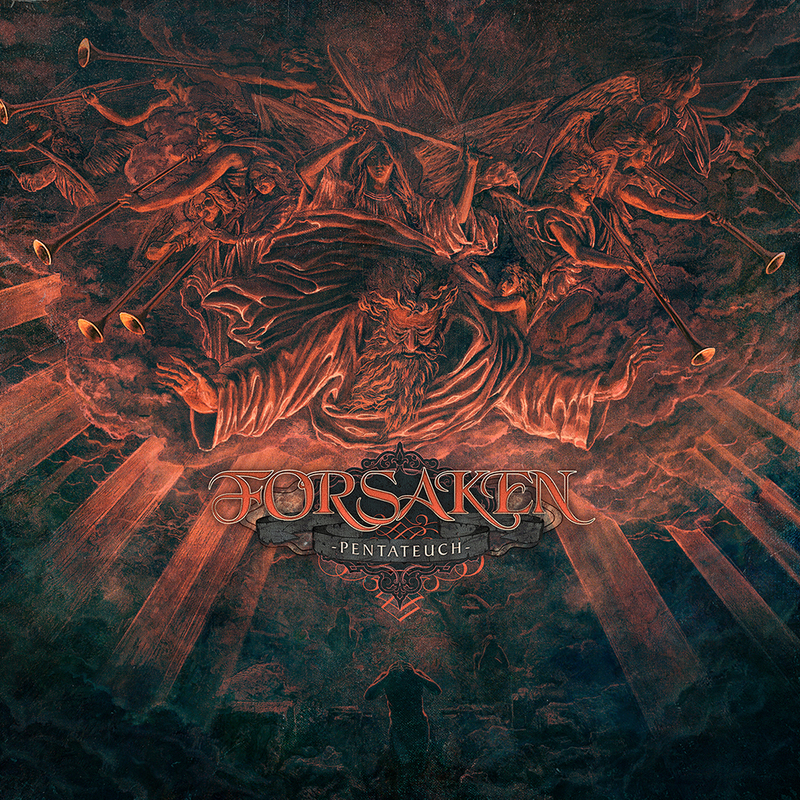 One of the strongest points in Forsaken’s music is their undeniable penchant for heavy riffing. Sean Vukovic knows his trade, displaying hook after hook without giving the listener much room to breathe at all – not to mention some excellent solos, as the colossal “The Dove and The Raven” is more than enough to testify. But Forsaken is far from being a one-man-wonder, you see. Bass player and main songwriter Albert Bell sure understands the importance of atmosphere, with tunes like “Decalogue” displaying his ability to capture the listener’s attention to a great extent. Simeon Gatt pound the skins with undeniable finesse, and Leo Stivala have long been one of the most talented singers in the entire doom metal scene, his huge voice seamslessly going from grim to grandiose and then to sheer hostility when needed, all done with extreme confidence and bite. These guys have been playing together for over 25 years now, and it shows all over this record, you can take my word for it. The songwriting is very tight, with no perceivable dips in quality from start to end – even the slightly pointless interlude “The Banishment” is actually quite cool, though it comes perhaps a bit too early in the running order to achieve full effect. There’s also a good balance between the murky and the (slightly) more upbeat, with vigorous songs like “Primal Wound” and “Sabaoth (The Law Giver)” being much-welcomed moments when the pace speeds up a little and you can serve yourself for a good, healthy dose of intense headbanging. Well done, lads, well done indeed. The only aspect that prevents “Pentateuch” from getting an even higher rating is the production. The in-your-face, live-sounding approach is not a problem in itself, but it seems to have been quite a long and convoluted recording process, using many different studios during a period of no less than four years and with protracted intervails between sessions. Under such circumstances, no one should be remotely surprised to learn that the final product lacks cohesion to a great extent. Sometimes a given instrument will sound very different from one song to another – seriously, just compare the drums on “Serpent Bride” and “The Dove and the Raven”, not a single piece of the kit sounds the same! Considering that the mix applies high emphasis on the rhythm session, the whole thing can get quite unpleasant to the eardrums on occasion. And I’m not at all enamoured with the ending of the otherwise awesome “Apocryphal Winds”: after spending over 15 minutes with a very good thing going (an achievement in itself for such a long track, mind you), the fade-out sounds too unpolished and abrupt, almost an anticlimax after such a pleasant doom-fest. Maybe these shortcoming will be a bit too much for more rigorous listeners, and you’re well advised to proceed with caution if you’re the kind of person that demands an impeccable-sounding production to start with. On the other hand, those among us willing to overlook it will be rewarded with some immensely epic, engaging doom metal of the highest level. “Pentateuch” is quite an achievement when it comes to music itself, and let’s just hope that Forsaken will be able to build from this one and come up with a more closely-knit production job next time around. This entry was posted in Heavy Metal, Reviews, Stoner, Doom, Sludge and tagged 2017, doom metal, Epic Doom Metal, Forsaken, Malta.